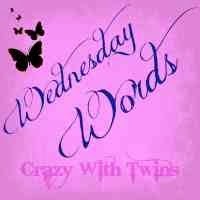 Hijacked By Twins: Wednesday Words - Toddlers! Haha this is so funny. Brilliant. Yes I know what you mean about having two. Mine have just found their feet and started walking. I'm suddenly more tired! lol.